Italian writer-director Paolo Sorrentino makes zombie movies, which probably comes as a surprise to him. At the center of his best and most recent pictures are the walking dead, characters in a race with themselves across mortality’s finish line, their spirits arriving before the rest of them. In his mid-forties, Sorrentino has become current cinema’s filmmaker in search of lost time, his work concerned with extraordinary people coping with how they go on living as everything that once made them extraordinary lies behind them. The title of Sorrentino’s new movie, Youth, evokes not a time or a state of mind but its own country altogether, a foreign shore receding in the distance to never be glimpsed or crossed again. What is it like to knowingly take a final look at some part of yourself that you’ve believed in all your life and to understand it’s irrevocably gone? It’s like death. Meeting a famous rock and roll singer-songwriter some years ago, I was shocked by how old he seemed, hobbling slowly across the room in stark contrast to his distinctly livelier onstage persona. (That he was six months younger than I left me pondering, of course, how old I must seem to others.) 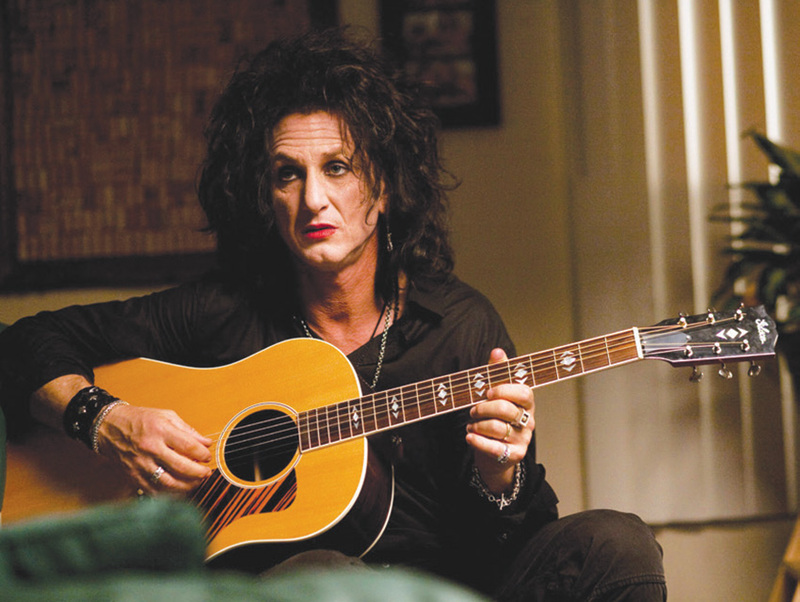 In Sorrentino’s 2011 This Must Be the Place, Sean Penn’s aging glam star walks the same way, stumbling somnambulantly through Dublin and barely able to muster a sigh, let alone a song; 20 years retired from music yet still carefully cultivating his Cure lead-singer image, haunted by the long-ago suicide of two fans, he sets off for America in search of his dead father’s past. In 2013’s The Great Beauty, Toni Servillo’s aging novelist who never wrote a second book bears witness to the collapse of Rome’s social order, much as Marcello Mastroianni’s gossip columnist did in Federico Fellini’s La Dolce Vita two or three collapses of social order ago. 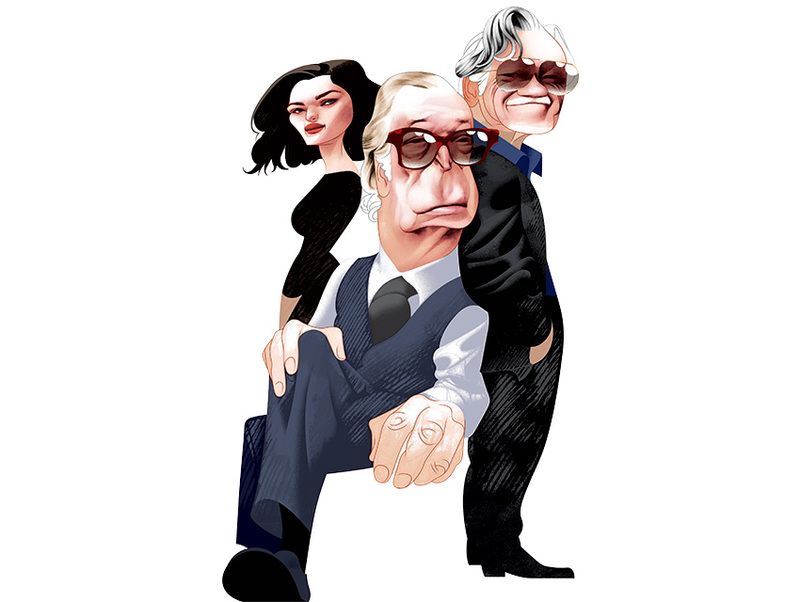 In Youth, aging composer Michael Caine is holed up with daughter Rachel Weisz in a Swiss luxury resort, adamantly rebuffing a command performance for the Queen, while his friend, aging director Harvey Keitel, still pursues—to ends at once heroic and doomed—the dreams and ambitions that Caine has put to rest. As time winds down, none of these people seem especially frantic, even as they’re trying to catch memories like fireflies, trapping them in their minds again before they flicker out. Conspicuously artists, they betray desperation only when they allow their lives to take turns they’ve always resisted, mugging their muses and making a break for the hinterlands of creative temperament. In Sorrentino’s pictures the End circles back to the Beginning, the revelations of life’s outset reappearing to convey new ramifications: Oh, so that’s what that was all about, and I had to live 40 or 50 or 70 years to figure it out. The central characters of Youth, The Great Beauty, and This Must Be the Place are beset by visions that only they see (maybe), and the films are full of hallucinatory non sequiturs: plains buffalo in windows and withered saints at dawn surrounded by a veranda of storks, Nazi war criminals walking desert sands and naked Miss Universes who intellectually put condescending movie stars in their place. Neither the visions nor the movies lend themselves to facile assessments of what’s “real.” Directors of Sorrentino’s caliber don’t trade in demarcations of real/not-real any more than memory does; either nothing in these movies is literal or everything is. Although Sweden’s austere Ingmar Bergman was doing the same thing at the same time, Fellini was cinema’s reigning poet of memory in the nuclear afterglow of World War II and at the inception of ’60s psychedelia, calling one later film Amarcord (“I Remember”). 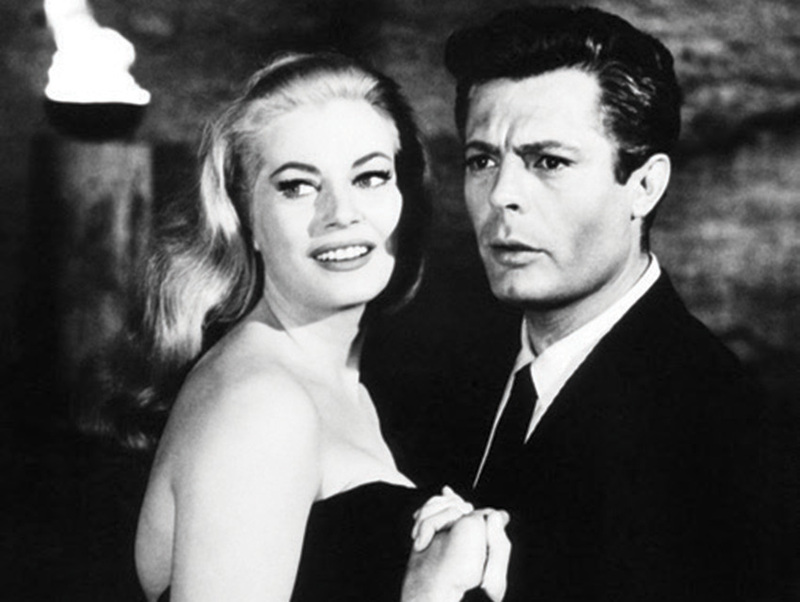 No real corollary to Fellini exists in American film; no American filmmaker since the silent era of Chaplin and Griffith so dominates perceptions around the world of what American film is. This isn’t to say there haven’t been other great Italian directors—from Rossellini to De Sica to Visconti to Antonioni to Bertolucci—who might prove more enduring, but for several generations of filmgoers going back half a century, the face of Italian cinema has been inescapably Fellini’s, with its grand profile and foolish tics and mad twitches, its ridiculous leer and tragically furrowed brow, cheap sentiment on its lips as eyes disclose marvels one moment and sad absurdities the next. Sorrentino’s audacity is to pick up where his fellow countryman left off. Assuming the Fellini mantle so openly, wearing Fellini’s influence so brazenly, Sorrentino asks for trouble, but this is partly what’s exhilarating about his work; if he’s derivative, with his gliding camerawork and clashing tones, he’s so unabashed about it and comes to it so naturally that the result feels personal. The semiaging director of Fellini’s 8½ (also played by Mastroianni), dazed by reveries and recollections of all the women who tormented him (when maybe he was really tormenting them), is now Keitel in Youth, plotting one more movie that will convince himself and everybody else that whatever moment was his isn’t over yet, while apparitions of revered and recollected women are scattered across the Alps. Now in an amnesiac century, Sorrentino remembers a cinema that used to remember, and his films implicitly suggest that, as the art form of the last century, film transformed how we, the audience, remember. Before movies, memory unspooled differently in the mind, trailing off in dust-blasted fade-out rather than spliced-together flashback; before photography, memory rippled like a reflection on water’s surface, less precise but more profoundly true. Sorrentino is a secret to most American audiences in the same way that everything that isn’t American is always a secret until it comes into a vogue that we can usurp. But a Sorrentino vogue, even one with an expiration date, wouldn’t be so bad right now. Peruse the Internet and sometimes you find objections that his work is a “train wreck,” and this is true if you like movies where trains always run on time and on tracks whose destinations always can be seen from an hour and 45 minutes away. Youth is Sorrentino’s first picture since The Great Beauty swept awards in Europe and best foreign-language film awards (including an Oscar) here at home, and if it’s not quite as good, it remains a train passionately committed to its own wreckage and worth our riding. Memory runs by its own itinerary, departing and arriving at stations of the past on its own schedule.